I write my stories in present tense, because that's why I like to read. Present tense allows for a lively pace, something I truly focus on whether I create it or consume it. The pace of a novel is important. Readers expect to be entertained, and one of the ways for that to happen to make readers feel like their time is being spent wisely. Films have learned to do this, for better and for worse, to always have something take place, to get to the big moments faster. It's why we see many run-times at 90 minutes; studios want the audience to be seeing something new every minute. A simplified, and hopefully not as demeaning way to put it, it's the most efficient way to combine a reader's time and speed of the plot. Articles and self-help books tend to advise in using present tense. I had a problem with these articles. What does "Write in present tense mean?" I get it, I truly do. Use the present tense. Pretty simple, but no one gave anything meaningful in how to do it. There are a million ways to write, and that advice basically throws the writer in the deep end without a swimming lesson. I was given a link on this very issue that turned the light bulb full blast. Finally! Someone out there actually gives some concrete material on this instruction. Not only does the article sum up the information easily, but it gives anyone who is looking for more an avenue to learn more. 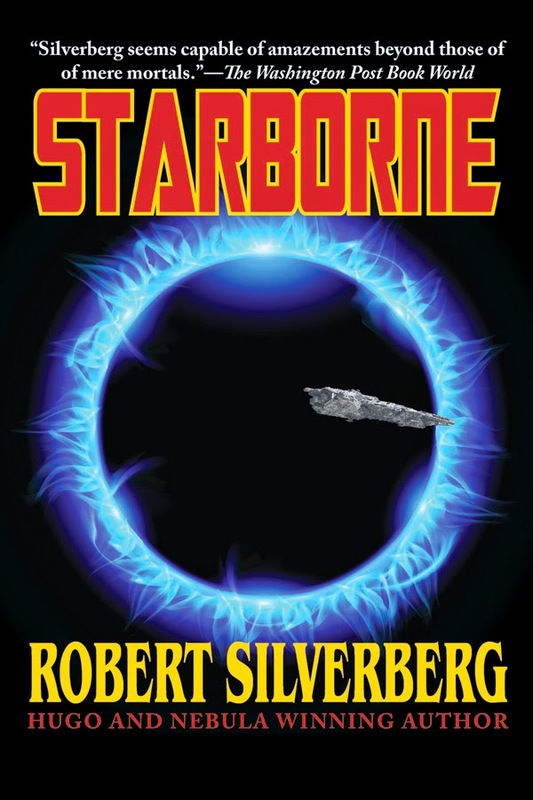 It didn't take long for me to buy Robert Silverberg's Starborne. As a book, Starborne is good, but in some aspects undercooked. That's an in-a-nutshell review. In a more writerly sense, it's a great textbook on the effectiveness of present tense wrapped in an entertaining narrative. Ever feel unsure if what you're writing is working in the present tense? Crack this book open anywhere and you'll find an answer. Starborne is better than any textbook, article, or online class out there. I have it on my desk at all times. When I get stuck on the grammar, I flip through a few pages and in less then five minutes I'm back on track. If you are writing or want to write in present tense, put this book on your must own list. Have it in the same way you would have a dictionary or thesaurus on hand. Did I already mention it's fun to read?